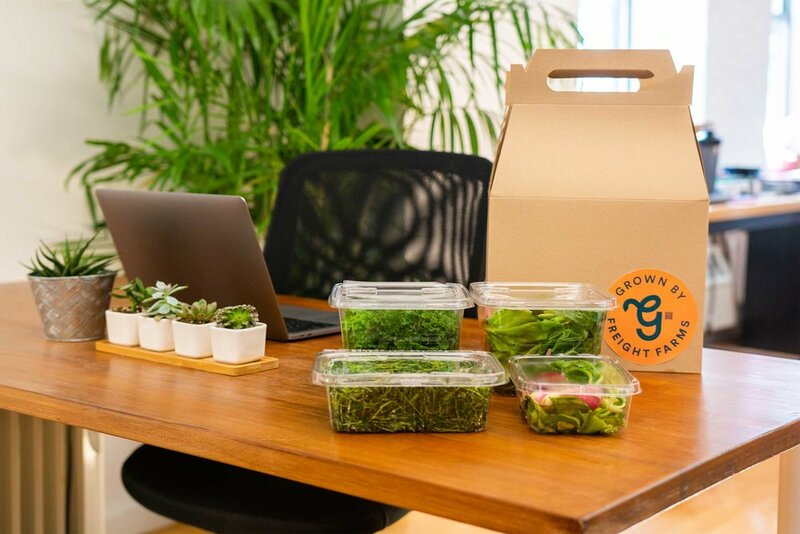 Grown to Share is the easiest way to deliver a local, farm-to-table CSA to your office or campus. We take your harvested produce and deliver it as individual shares. With Grown to Share, members of your community can opt into weekly deliveries of individual farm shares. Our program helps engage students, employees, residents, or community around health, wellness, local food, and sustainability initiatives. With same-day harvest and delivery from our hydroponic farm, your community can enjoy fresh greens every week. Unlike traditional farm share programs, Grown to Share is season-agnostic, so we can provide subscribers with fresh food all year. And since we'll handle all the packaging and delivery, you can offer this service without managing any logistics. Our farms can grow more than 200 varieties (and counting!) of lettuces, leafy greens, herbs, and edible flowers. We’ve curated three rotating share combinations that combine high-quality favorites with exciting new flavors. A variety of fresh and crisp lettuces, leafy greens, and herbs full of vital vitamins and minerals. Perfect for multiple ready-to-eat salads during the week. An exciting mix of colorful varieties that add brightness to any salad, or create a visually-interesting, unique and nutritious side dish. A blend of Asian heritage crops not commonly found in grocery stores. Experience bold new flavors (like wasabi arugula) and fresh favorites (like bok choi). As a large corporation known for corporate wellness, Dassault Systèmes was eager find a way to bring fresh and local produce to their employees. In 2018, they implemented the Grown to Share program at their Boston-area campus. Today, more than fifty employees receive weekly shares of their farm's harvest—all grown sustainably, no further away than outside their office windows. Each share is designed to give subscribers a variety of lettuces, hearty greens, herbs, and root vegetables, with delivery a matter of hours after harvest. "The lettuce selection is literally the freshest I've ever had," said one subscriber.